Get up to 7 free auto shipping quotes from the largest, most trusted Illinois auto transport companies and save up to 50% on your car shipping rates at CarMoves.com. Car shipping companies in Illinois compete for your business, which is how you can save hundreds, if not thousands of dollars on car transport services by shopping with us. Whether you're shipping a car to Illinois, across the country, or even overseas, we can help you get the best price on your shipment - guaranteed! Read more about the following auto transport companies in Illinois before getting a quote. Click on the name of the company to read a full review. Ship Your Car Now Unlike many others in the car shipping industry, Ship Your Car Now does not charge an upfront deposit. Customers have rated their service an average of five stars on AutoTransportReviews.com, making them one of the site's best reviewed companies. The company is known for picking up and delivering cars on time. 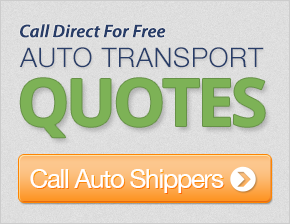 Get a free auto transport quote today to find out how much it costs to ship a car to or from Illinois! Illinois is one of the country's most populous states, ranking fifth overall. Though the city's immense population stems, in majority, from the Chicago metropolis and its many surrounding suburbs, Illinois also has various important communities within the central and southern portions of the state as well. With a strong and varied economic base, Illinois is certainly one of the most critical US states to the nation's well-being. In fact, Illinois and, quite notably, the Chicago area were a key figure in the adoption of modern science and technology. The University of Chicago and the top-secret Manhattan Project not only brought about the nuclear bomb, forever changing political and military tactics, but also led to the development of nuclear power. The area also happens to be responsible for one of the first and largest particle accelerators developed in the second half of the 20th century. Most United States residents can attest to Illinois being an important transportation center, particularly for those traveling between the East Coast states and the Midwest. Chicago's position next to Lake Michigan not only connects it to the Atlantic Ocean via the Saint Lawrence Seaway, but also ties it to the Mississippi River, and, thus, the Gulf of Mexico through the Illinois River. Illinois's transportation connections also prove useful for shipping agricultural products, many grown in the state's southern and middle portions, throughout the country. Finally, the state has played an important role in national politics throughout its history. Beginning with beloved President Abraham Lincoln, Illinois has produced three presidents, all of whom have had important places in the country's history. Lincoln, of course, was credited with steering the Union through the Civil War and freeing the slaves. Ulysses S. Grant was the commander of the Union's army during the Civil War, and was elected president in 1869. Most recently, the Illinois resident to be elected the US Commander-in-Chief is Barack Obama, the country's first African-American president. CarMoves.com works with car shipping companies throughout the state of Illinois. We can help you get the best prices on car transport services to the following cities in Illinois: Chicago, Aurora, Rockford, Joliet, Naperville, Springfield, Peoria, Elgin, Waukegan, Champaign, and many more. If you don't see your city listed, don't worry - we can get your vehicle shipped anywhere in Illinois. Scroll to the quote section on this page to compare free auto shipping quotes from up to 7 Illinois auto transport companies and save up to 50% on your move! View the Illinois Department of Transportation website for more information.